Teaching cursive does not have to be a hard or daunting task. CursiveLogic takes the guesswork and hassles out of teaching cursive by walking the student step by step through the four basic shape categories. We received the CursiveLogic Quick-Start Pack and The Art of Cursive for review. 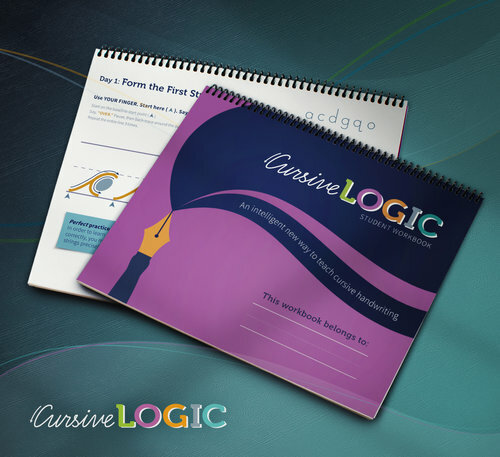 The CursiveLogic Quick-Start Pack includes one CursiveLogic workbook and access to an instructional webinar that explains the CursiveLogic method. CursiveLogic is a multi-sensory curriculum that uses color, movement, verbal and auditory tools to teach cursive. The student workbook is bound at the top so that no one (left or right-handers) will have to deal with their hand/arm on the coil. You work completely through the book on the front page, then flip the book around and work your way back. CursiveLogic is based on two key features- letters grouped by shape and connected letter strings. Through alliteration and color association the student memorizes the shape of each letter. The recommended work time is just 15-20 minutes per day. However, it is possible to master cursive in just two weeks using the CursiveLogic method. This time around I had Julia (my freshman) work through the book. She already knew cursive, but there was much room for improvement. Because this was something extra we added to her daily work, she worked through the workbook at the recommended pace. Here’s what Julia had to say about it . . . I understand that the letters were grouped together like they were because they are similarly shaped, but I would have rather learned the letter shapes in alphabetical order. It’s not bad or hard. But being the orderly person I am, I just didn’t enjoy skipping around. The pages feel nice and thick. I liked that the space to write was large. I have really small handwriting and Mom says I need to learn to write bigger. Maybe this will help? Other than the letters not being in correct order, I appreciate the way they are taught. Saying the catchphrase over and over helped me to remember the correct formation. This isn’t my favorite thing ever, but I’m going to finish it. I’ve realized that I need to have better handwriting, and CursiveLogic can help me do that. 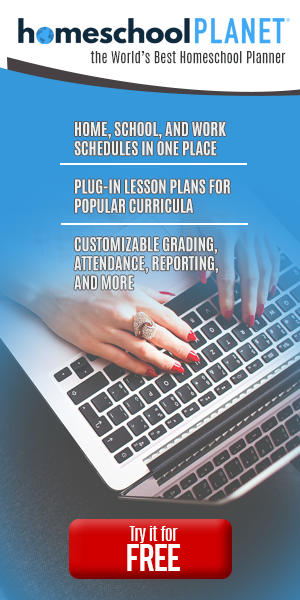 The webinar is a 50-minute video that explains the CursiveLogic method step-by-step and guides you through the teaching process. Everything is explained quite thoroughly. Because we’ve used CursiveLogic in our homeschool before, there was nothing new in the webinar for me. BUT! For someone who has never used the Workbook, it would absolutely be beneficial to watch. Every concept is addressed and explained. It’s best to have your Workbook with you while watching so you can follow along. The presenter moves around in the book a lot. Also, I started watching the webinar alone but soon realized it would be best to have my student watch with me. That way she knew what was coming and how things would be expected to work. The Art of Cursive is a handwriting instruction method beautifully displayed in an adult coloring book. If you can color, you can learn cursive. The coloring book includes four brief lessons, targeted to the adult learner, that quickly teach the lowercase alphabet the CursiveLogic way. There is also a reference sheet demonstrating how to form the capital letters. After completing the lessons, you dive into the 27 beautiful coloring pages. The coloring book is made with thick pages so using markers or gel pens like we did won’t bleed through. 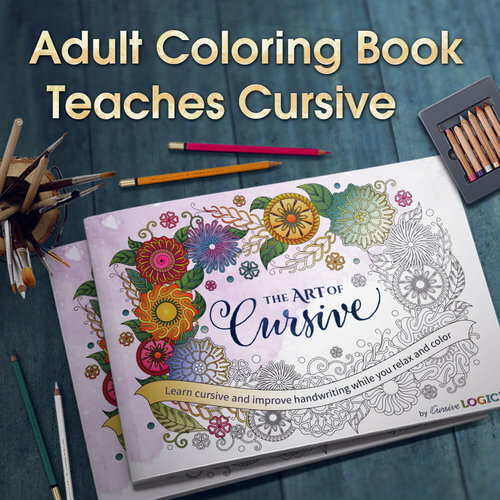 The Art of Cursive is not a student curriculum and does not contain an adequate amount of instruction to teach a child cursive, but students who have already done the CursiveLogic Workbook will enjoy using their new skills to color the designs in this beautiful book. As a little bonus for my readers, CursiveLogic created a special discount just for you! 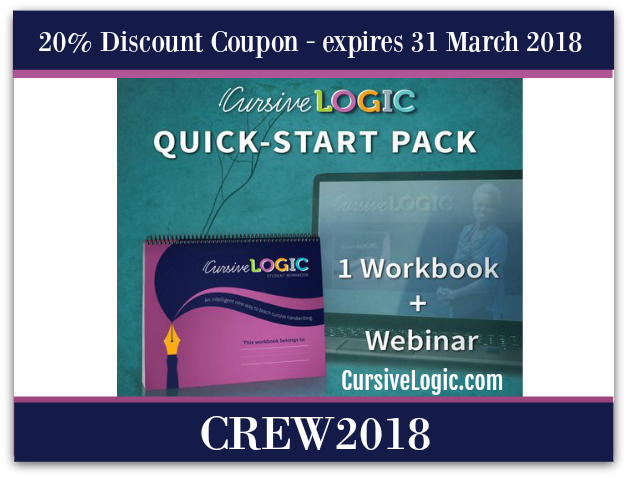 Using the code CREW2018, you can save 20% on the Quick-Start Pack (the webinar + workbook combo)! CursiveLogic is a great program. I intend to buy more workbooks in a couple years when I start teaching cursive to my now first graders.